How to generate HappyFox API key and Auth code? To set up a migration from/to HappyFox you will need an API key and Auth code. 4. 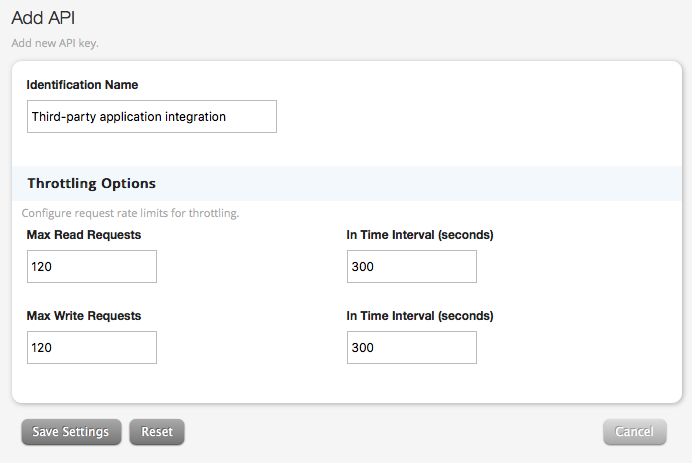 Name the API key to know what it's for and set the Max Read and Write Requests to ensure a quick migration. Click Save Settings to create your API key. Copy the key and the code and paste it into the Migration Wizard. Note: if you can't access the API settings, contact HappyFox support to get it enabled.